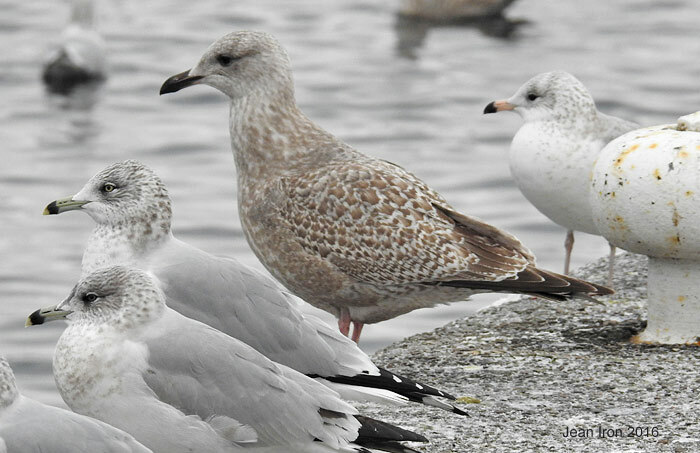 First cycle Glaucous Gull has all black tip to bill on 3 January 2016. 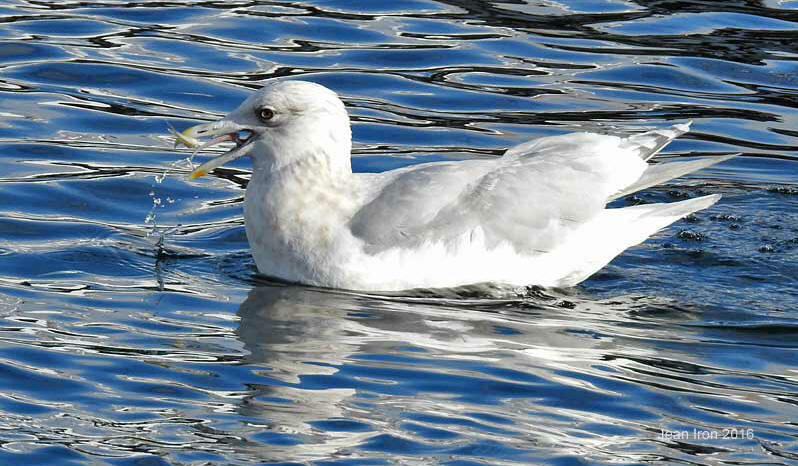 Kumlien's Gull eating a minnow. 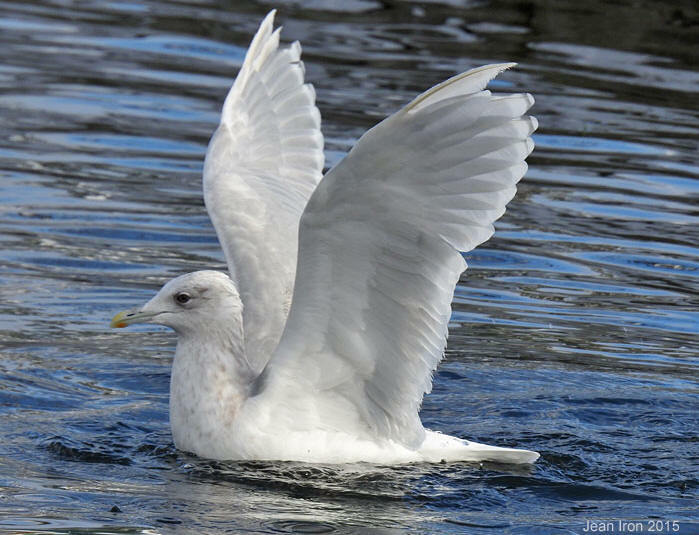 3 January 2016. 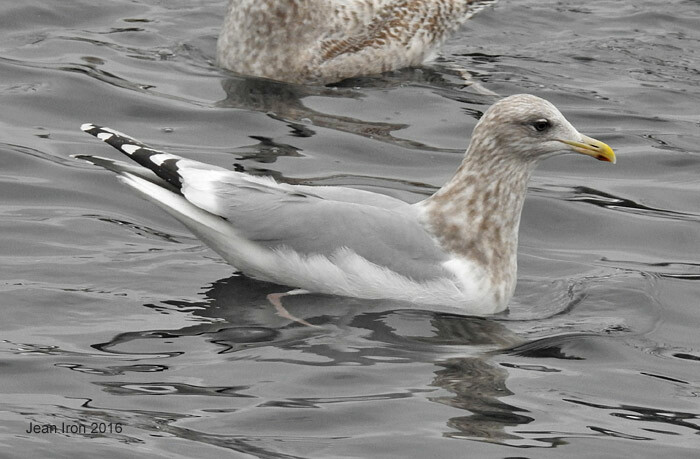 Next photo same gull showing wing molt. 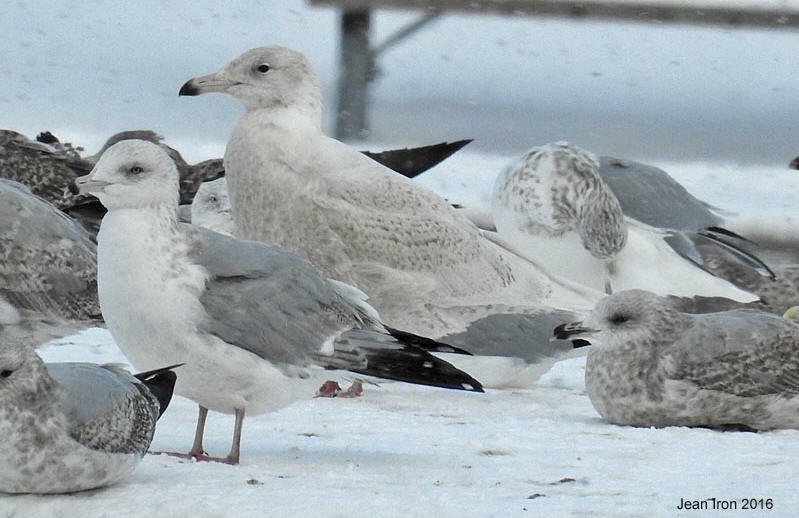 This gull is undergoing an unusual primary molt. Left wing: outer primary (P10) is pointed, frayed and old and hasn't been renewed. P9 is still growing in. Right wing P10 and P9 are also old, worn and pointed. Something caused the delay in the molt of these primaries. 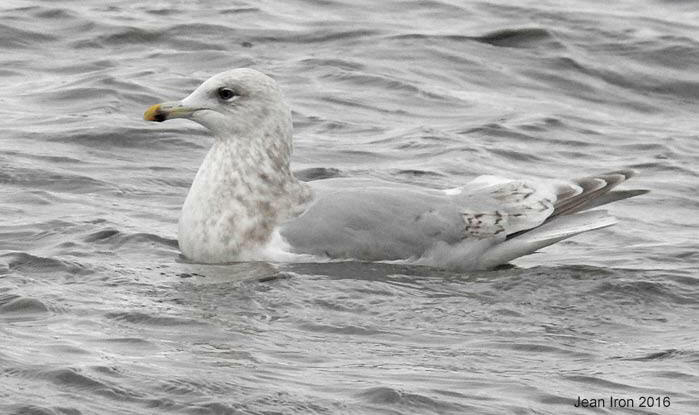 Second winter Thayer's Gull on 3 January 2016. 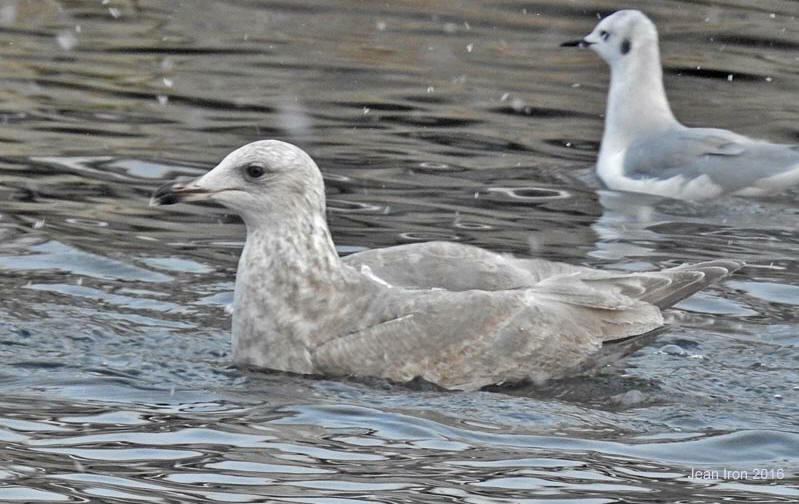 Adult Thayer's Gull in winter plumage on2 January 2016. 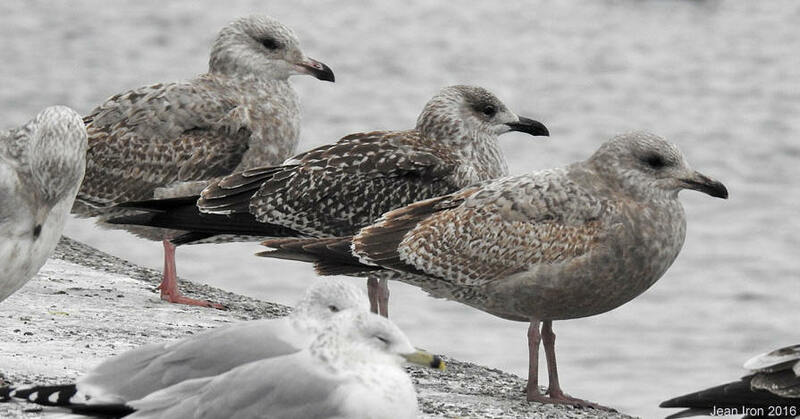 Same individual. 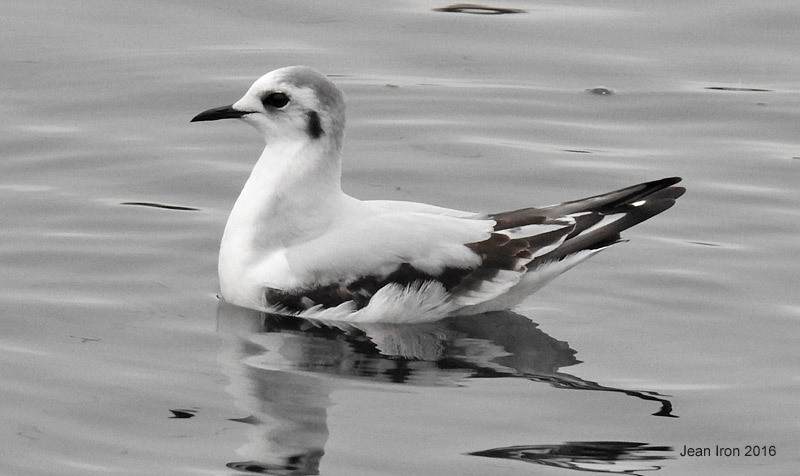 First winter Little Gull on 2 January 2016. 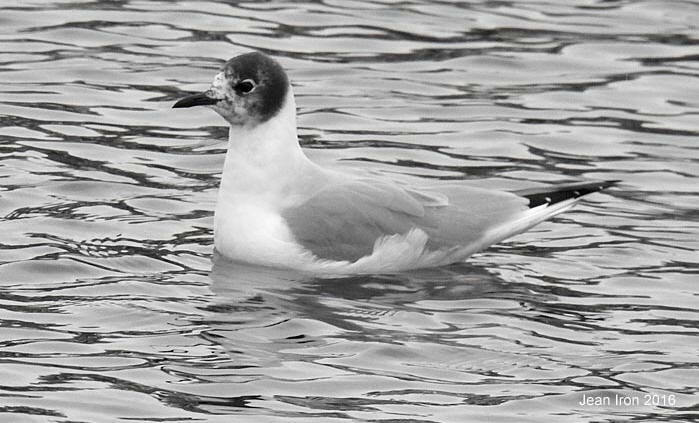 Bonaparte's Gull with hood on 2 January 2016, probably the same individual as earlier in December.